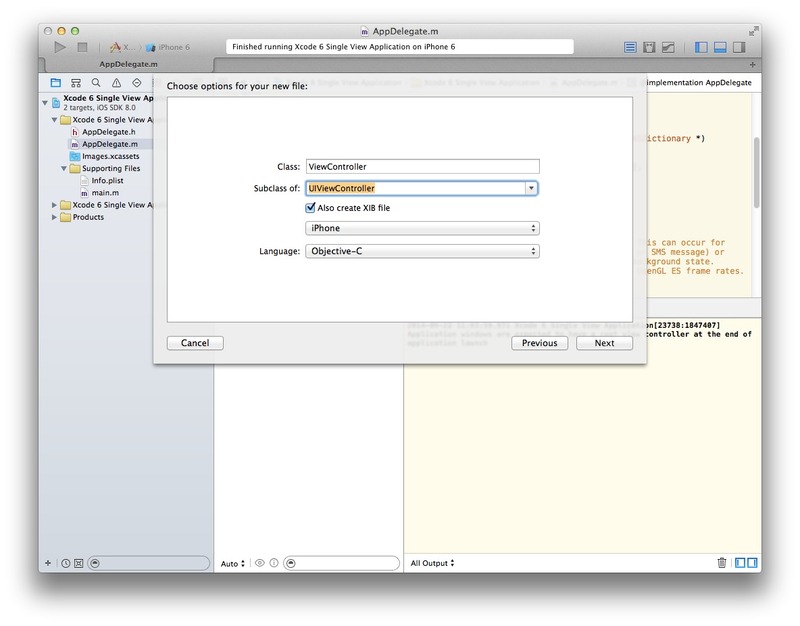 Xcode 5 and 6 introduced some changes in iOS project templates, which may or may not be to everyone’s taste. 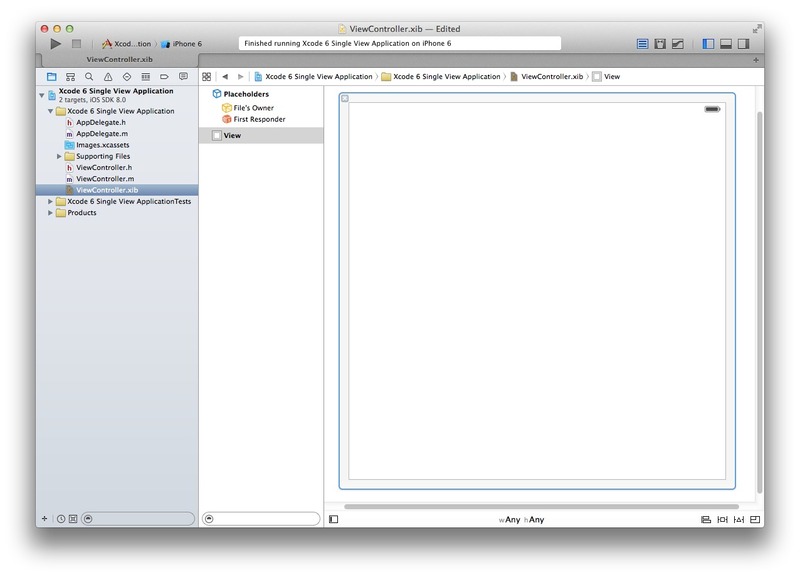 This mini-tutorial shows how to create a pre-Xcode 5-style Single View Application based on xib files, and and a pre-Xcode 6-style Empty Application, using Xcode 6. Selecting “Empty Application” created yielded a project with just an Application Delegate, whose only function was to display an empty white window. This sort of project is useful for starting from a nearly absolute minimum, and has some pedagogical value, notably in the Big Nerd Ranch’s iOS Programming: The Big Nerd Ranch Guide, where they start off new projects from the Empty Application template. 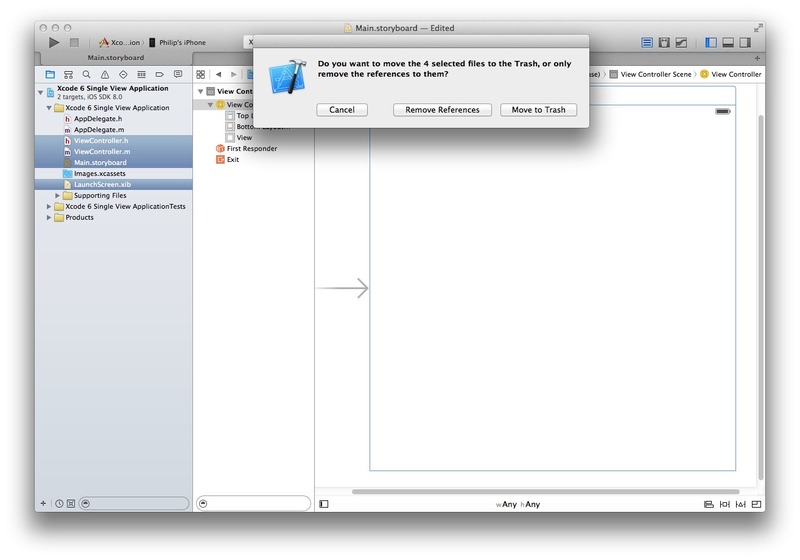 With the introduction of Xcode 5, the iOS templates were changed to favor Storyboards. 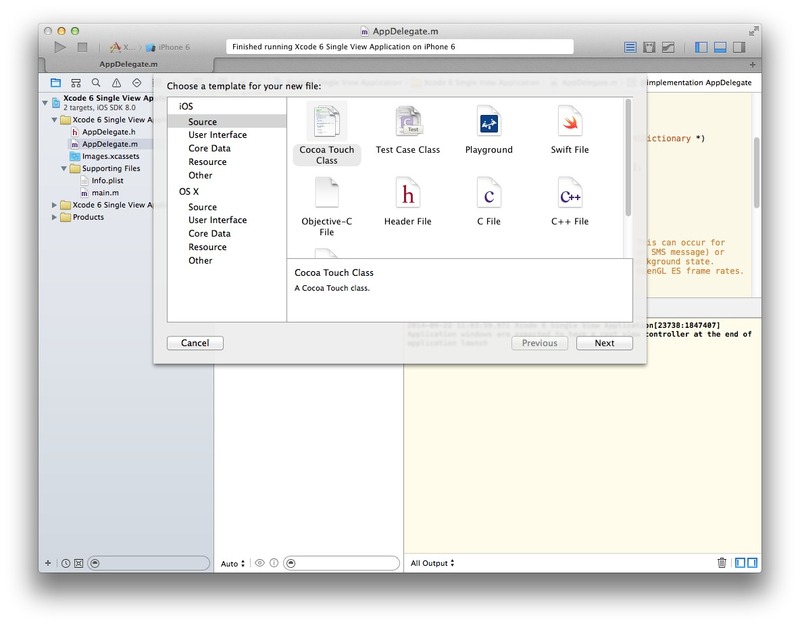 With the introduction of Xcode 6, the Empty Application template has been replaced with an Empty project template, which constructs a project containing no files or targets whatsoever. You get not only a Main.storyboard file, but also a default LaunchScreen.xib file. Some developers prefer Storyboards, and some do not. 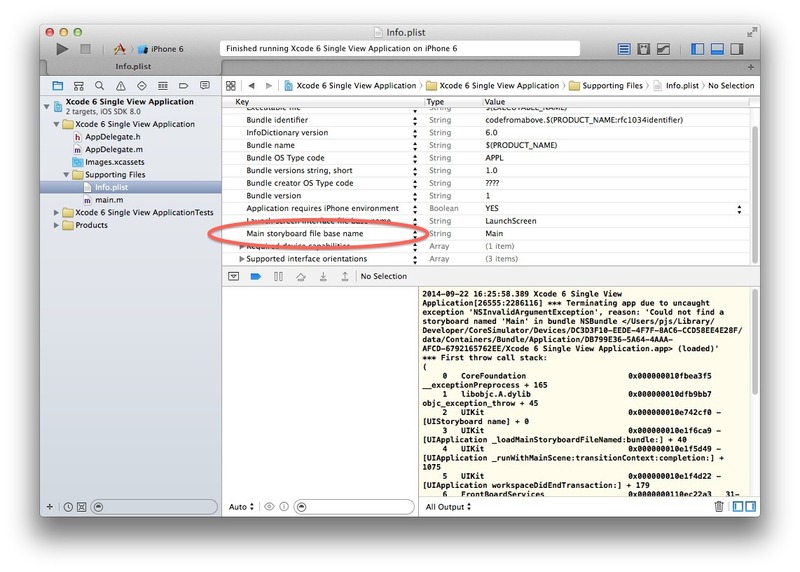 It’s relatively easy to modify a project to get back to what a pre-Xcode 6 Empty Application template created; a second modification gets you from there to a “standard” xib-based application, à la Xcode 4. (It should be possible to create custom Xcode 6 templates for both of these types of projects, but that will require some research and experimentation). 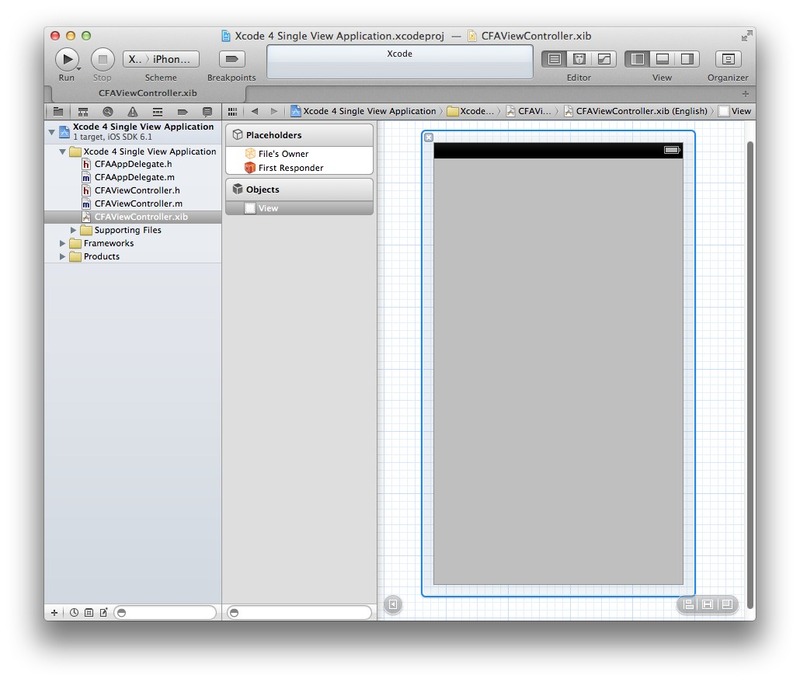 which also appeared in Xcode 5’s Empty Application, by the way. Instead of simply making the window background white, we tell the app to make us a ViewController from the new xib file, and use it as the root view controller (thereby eliminating the warning we saw earlier). At this point, we have what Xcode 4’s Single View Application template created: a minimal, non-storyboard-based app with one xib file.